We move towards a cohesive language in the Global Ecovillage Network. Together, we manifest a reality where ecovillage lifestyles become an aspiration, inspiring large scale, community-led change processes and government-supported systems for a regenerative world. VILLAGE: A clustered human settlement, larger than a hamlet but smaller than a town, with a population ranging from a few tens to a few thousand. 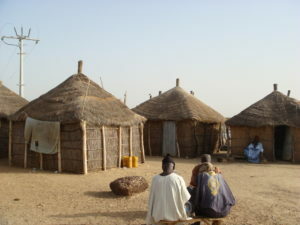 Though often located in rural areas, the term urban village is also applied to urban neighborhoods. INTENTIONAL COMMUNITY: A group of people who intentionally live together or share common facilities and co-create at least some of their social, economic, ecological and/or cultural relationships. There is an overlap between intentional communities and ecovillages, yet they are not the same. Traditional ecovillages are not intentional communities. 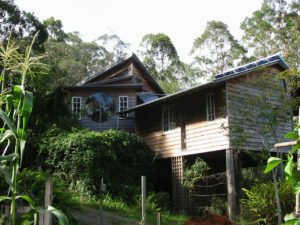 Some intentional communities are too small to be recognised as ecovillages. ECOVILLAGE: A rural or urban community that is consciously designed through locally owned, participatory processes in all four dimensions of sustainability (social, culture, ecology and economy) to regenerate their social and natural environments. GEN knows that an Ecovillage is a process, not an outcome. Projects and communities do not need to call themselves ‘ecovillages’ to be recognised as such. ASPIRING ECOVILLAGE: An intentional or traditional community which is on its way to becoming an ecovillage, but does not yet meet all the criteria of being recognised as an ecovillage. SHOWCASE ECOVILLAGE: An Ecovillage that has been identified by their region and/or GEN as exemplary. 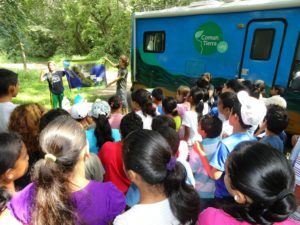 Showcase Ecovillages have a designated GEN Ambassador and are open to visits from government representatives, school classes, etc. They participate in the Ecovillage Impact Assessment and are specifically represented in GEN publications. ECO COMMUNITIES: Eco-communities are ‘small ecovillages’, with a population of less than 20 inhabitants, but still consciously designed through locally owned, participatory processes in all four dimensions of sustainability (social, culture, ecology and economy) to regenerate their social and natural environments. ECO PROJECTS: Initiatives of various sizes that inspire, educate and foster ecovillage lifestyles. NATIONAL ECOVILLAGE NETWORK: A national node of GEN that can be formed once there are at least three Ecovillages in one country. 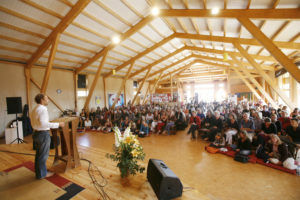 A national ecovillage network aims to be registered as separate NGO (or in some cases fiscally sponsored by registered like-minded NGO’s or non-profit organizations) in their country.